Sony thinks an increase in industry diversity could lead to more female-friendly games. With the PlayStation 4 announced, Sony has been working hard to try and make the PS4 a more viable platform for a wider variety of games and gamers. A part of this includes making the company's new console a friendlier destination for women. 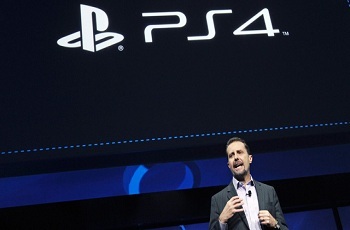 According to Andrew House, president and chief executive of Sony Computer Entertainment, the steps to seeing this goal become a reality are more complicated than giving the PS4 a woman-friendly paintjob. "We are not going down the route of making the console pink of course," said House. "I think the key is to have people - and increasingly women - with different sensibilities creating different games. It is not all about shoot 'em up games." House's comment touches on a problem the male dominated game industry runs into fairly consistently. It doesn't quite know how to make games for women. Comparatively, when women are included in the development process, there is more than enough evidence that proves the benefits. Tomb Raider, Crystal Dynamic's reboot of the long running and popular franchise of the same name, was written by Rhianna Pratchett, a woman. The game has been since been hailed by critics for its realistic and powerful representation of the journey of Lara Croft's character. The extent that Sony will go to help bring more women into the gaming fold is yet unclear. That said, one tangible thing the company could do to help spur the growth of women in the industry (aside from hiring more of them) would be to invest in more games that give female protagonists top billing. Sony's library of home grown titles is largely lacking in this regard. Its various developers have crafted some wonderful female support characters over the years, but it's still the Nathan Drakes and Kratoses standing the spotlight.